NARGC STATEMENT ON HCAP – MISLEADING OR JUST DISHONEST? A statement has appeared on the website of the National Association of Regional Games Councils headed “Hunter Competence Assessment Programme (HCAP)”. That statement is at best misleading and at worse just plain dishonest. The statement addresses the requirement for mandatory certification as a prerequisite for issue of a Deer Hunting Licence (DHL), which follows a recommendation from the Irish Deer Management Forum (“the Forum”). In March 2016, after exhaustive debate, the Forum unanimously adopted the following recommendation for submission to the appointing Ministers: “That the IDMF recommend to the Minister for Arts, Heritage and the Gaeltacht and the Minister for Agriculture, Food & the Marine that Certification of Competency from an accredited source in knowledge of wild deer species, disease recognition, management, culling and safe methods of control, together with marksmanship and safe usage and storage of firearms, be a mandatory requirement before the grant of a licence to hunt wild deer; and that mandatory certification be introduced on a phased basis over a five year period commencing on the 1st day of January 2018 for existing holders of deer hunting licences, and with immediate effect from the same date for all new applicants for deer hunting licences”. This recommendation was duly submitted to the Ministers concerned and confirmation of adoption of the recommendation was subsequently received by the Forum. The NARGC statement asserts that “there was no consultation that we the NARGC were aware of and have this requirement forced upon us”. The NARGC have had a seat at the Forum table from Day One and were fully involved in all deliberations of the Forum, including representation on the Communications, Training & Best Practice Working Group which was responsible for framing the Recommendation. Training and certification for deer hunters was adopted as a priority objective for the Forum from date of appointment of the Forum and was dealt with in detail in numerous submissions made in the process of public consultation over a two-year period. It is at best disingenuous to suggest that the NARCG were not party to consultations, which were exhaustive. In fact, as can be seen from the Recommendation, certification is not limited to Deer Alliance HCAP. So far as Deer Alliance HCAP is concerned, “HCAP or equivalent” has always been and continues to be, the criterion for certification. By no means does mandatory certification place Deer Alliance (HCAP) “at the centre of what is a commercial venture, with no viable alternatives open […]”.  Deer Alliance HCAP is a not-for-profit body, operating on a break-even basis and with full disclosure of all finances. It is open to any third party to put forward a programme for training, assessment and certification, with HCAP as a valid benchmark for measurement of equivalency. HCAP has processed some 2400 candidates since 2005, when certification became a mandatory requirement for hunters wishing to hunt deer on Coillte forest property. HCAP des not consist of merely of “answering 30 multi choice questions and attending a range test”. Candidates must answer a minimum of forty questions correctly, and then passing a rigorous test of firearms handling and marksmanship. Both stages are demanding of ability and generally, only those candidates who engage in optional Training Workshops and careful study of the Deer Alliance Stalker Training Manual, and then show up for the Range Test with firearms correctly zeroed, safe to use and being capable of putting the requisite number of rounds onto the target on their first attempt, achieve maximum results. It may be the case that internal dissension and seismic change interfered with the NARGC’s involvement with the different processes and debates engaged in by the Forum in recent months. That is no excuse for misleading their membership as to consultation, or for denigrating a process of assessment and certification recognised as fit for purpose by Coillte Teoranta and National Parks & Wildlife Service; or for disrespecting the voluntary work of all those engaged in Deer Alliance HCAP, including the different deer organisations such as the Irish Deer Society and the Wild Deer Association of Ireland, which have done far more for deer and for deer hunters than any other shooting organisation over the last forty years. This entry was posted in Uncategorized on November 26, 2017 by Liam Nolan. Deer Alliance HCAP is deeply concerned at this statement. It goes against the recommendation of the Irish Deer Management Forum and contradicts the Forum’s understanding of the Minister’s position as communicated to the Forum by the Minister and her representatives since the Recommendation on Mandatory Certification was submitted to the Minister some eighteen months ago. The Forum, and Deer Alliance HCAP, had been assured on several occasions that the recommendation on mandatory certification had been adopted and would be implemented with effect from 1st January 2018. In the intervening period Deer Alliance HCAP has worked assiduously to ensure a state of readiness for implementation of mandatory certification from 1st January 2018, including setting up a series of twelve HCAP MCQ dates and six HCAP Range Tests in 2018. The Minister did not communicate with the Irish Deer Management Forum prior to publication of her statement and it remains the Forum’s position that its Recommendation in its original form is the only acceptable position, both from the viewpoint of deer welfare and from the viewpoint of safe, efficient and humane control of wild deer. Deer Alliance HCAP understands that the Forum’s Chair will communicate this position to the Minister at the earliest time and seek clarification as to why the Minister has apparently reneged on an agreed and adopted position without consultation with the Forum. This entry was posted in Uncategorized on November 24, 2017 by Liam Nolan. There has been much discussion, speculation and misinformation on the subject of mandatory certification for deer hunters as a prerequisite for the Deer Hunting Licence (DHL) since its introduction was formally announced here and elsewhere last month. It is appropriate that Deer Alliance HCAP addresses the issues raised, and set the record straight where concerns have been expressed. 1: Deer Alliance HCAP is a voluntary, not-for-profit organisation in existence since 2003 and running the Hunter Competence Assessment programme (HCAP) since 2005. The Deer Alliance came together as a response to the requirement on the part of Coillte Teoranta for minimum competency requirements for all persons hunting wild deer on Coillte forest property, in compliance with forest certification and health and safety requirements, as well as public safety issues. Initial funding for the project came in the form of grants received from Coillte, NPWS, Forest Service, Irish Deer Society, Wild Deer Association of Ireland, Wicklow Deer Management & Conservation Group and the Wicklow Deer Society. 2: Deer Alliance originally comprised a number of stakeholders drawn together in 2001 to formulate an appropriate certification process. These stakeholders included the Irish Deer Society, Wild Deer Association of Ireland, Wicklow Deer Management & Conservation Group, Wicklow Deer Society, Coillte, National Parks & Wildlife Service, Forest Service, Garda Siochana, Irish Farmers’ Association, Irish Timber Growers’ Association and a representative of commercial stalking interests. The Deer Alliance HCAP Committee has been chaired by a representative of NPWS since 2005 and prior to that, by the Managing Director, Forestry, Coillte Teo. A Coillte representative served as Treasurer of the Committee from 2005 to 2017 and that role is now filled by a representative of the Irish Deer Society. Liam M. Nolan has served as Secretary/Administrator of HCAP since inception in 2001 and continues in that capacity. 3: It has been the policy of all the deer organisations concerned for several decades that training and certification of competency should be a prerequisite for the issue of the Deer Hunting Licence (DHL). This policy was adopted by Deer Alliance HCAP (including all stakeholders) in 2005 and Deer Alliance has worked towards this end since HCAP was launched in 2005, since which certification (HCAP) has been a mandatory requirement for hunters on Coillte forest property. While only approximately 1300 licensed deer hunters hunt on Coillte forest property (and must have HCAP before they can tender for or hunt on Coillte forest property), almost twice that number have been processed by Deer Alliance HCAP since 2005. The success of HCAP speaks for itself, and is now seen as a badge of honour and achievement by those who hold it. 4: In March 2015 the Irish Deer Management Forum came into being, after a much-publicised and long-drawn-out process of public consultation. Membership of the Forum comprises nineteen stakeholder representatives under an independent Chair, charged with formulation of recommendations dealing with overall management of wild deer in Ireland. Membership of the Forum is by Ministerial invitation and appointment. Full details of the Forum, including membership information, can be seen at www.idmf.ie and/or www.deerforum.ie. 5: In December 2015, after exhaustive debate, the Forum unanimously adopted the following recommendation for submission to the appointing Ministers: “That the IDMF recommend to the Minister for Arts, Heritage and the Gaeltacht and the Minister for Agriculture, Food & the Marine that Certification of Competency from an accredited source in knowledge of wild deer species, disease recognition, management, culling and safe methods of control, together with marksmanship and safe usage and storage of firearms, be a mandatory requirement before the grant of a licence to hunt wild deer; and that mandatory certification be introduced on a phased basis over a five year period commencing on the 1st day of January 2018 for existing holders of deer hunting licences, and with immediate effect from the same date for all new applicants for deer hunting licences”. 6: There can be no lack of awareness of impending introduction of mandatory certification amongst the main body of licensed deer hunters as there has been constant and recurring discussion amongst the representative organisations for several years and indeed, was a recurring point in submissions made during the public consultation process leading to the establishment of the Irish Deer Management Forum. Certification was also identified in the key document, “Deer Management in Ireland: A Framework for Action”, which can be accessed through the IDMF website. 7: Deer Alliance HCAP has now put in place a structure to handle the expected future take-up of HCAP certification. Given that approximately half of the 4900 holders of the DHL require to be certified (the balance being already processed since 2005) and given an average of 600 new entrants to stalking under licence over each of the last three years, taken together with an average 200 retirements or failure to renew the DHL over the same period, this means that approximately 1000-1200 candidates will require to be processed over each of the next five years. With the systems and supports already in place, and refined over a twelve-year period, Deer Alliance HCAP is confident that it can meet this demand in an efficient and competent fashion. 8: The cost of HCAP was set at €150.00 per candidate, from MCQ written examination through to Range Test and issue of HCAP Certificate (now supported by ID card and lapel badge) in 2012 and will continue at that level despite constantly increasing costs. As already stated, HCAP is operated on a strictly not-for-profit basis and any and all surpluses are applied to containment of the cost to the individual candidate, and to improvements in HCAP and its administration. The Secretary/Administrator receives an honorarium, which is subject to income tax and VAT, compliant with Revenue requirements. That honorarium is calculated to cover the Secretary/Administrator’s time and direct expenses. Other expenses include MCQ facilities, venue hire, Range Test costs (including per-candidate payment to the Range, and per diem and travel costs for Deer Alliance Range personnel), and all those direct and indirect costs associated with running HCAP, such as maintenance of website, internet server provider charges, An Post charges, communications costs including mobile phone charges and travel costs. A full statement of Account is provided to stakeholder representatives at each Committee meeting (usually held quarterly) and audited accounts are provided annually. In short, full transparency and accountability is followed at all times, and this will continue to be the policy. 9: Regarding accreditation, HCAP is accredited by those entities from whom accreditation is required, namely National Parks & Wildlife Service and Coillte Teoranta. HCAP is also accredited by An Garda Siochana as evidence of competence for purposes of firearms certificate applications. HCAP is not a national vocational qualification as the cost of complying with requirements of Quality and Qualifications Ireland (QQI), the over-arching body for accreditation of vocational courses in Ireland, is disproportionate to the number of candidates seeking certification, and would lead to a measurably increased cost of certification for candidates. There is currently no accredited national vocational course available in Ireland for purposes for certification in competence in the field of deer management or deer hunting. Neither is any external course in this arena is accredited. 10: In fairness to Deer Alliance HCAP and NPWS, the stated position calls for certification under HCAP “or equivalent”. There is currently no equivalent course available. It is expected that if any alternative certification programme is put forward, NPWS, as the authority responsible for issuing of DHLs, will determine whether equivalence is met by any intending alternative course leading to certification. By virtue of its structure and achievements over a twelve to sixteen-year period, HCAP is established as the benchmark for equivalence and it is difficult to see how or why an alternative course provider would come forward, other than for purely commercial reasons. 11: Deer Alliance is aware of a negative response to mandatory certification emerging on social media from some quarters. Deer Alliance, and all of its stakeholders as well as stakeholders represented on the Irish Deer Management Forum, regret to note any negative response to developments which are designed to lead to better, competent and more efficient hunting and management if wild deer by committed and fully certified persons. Happily, the number and quality of favourable comment considerably outweighs the negative comment. 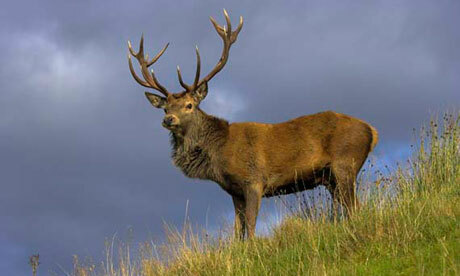 Mandatory certification has in fact been welcomed by a majority of respondents, who see the development as bringing Ireland into line with international best practice and contributing to best-practice procedures in terms of management of wild deer, including recreational hunting and necessary culling for control purposes. Opponents of mandatory certification mention increased regulation and control as negative factors whereas the purpose is to improve and enhance best-practice procedures based on education and training. Others feel that the cost of certification is an obstacle to new entrants. Given the overall cost of stalking as a recreational resource, the cost of certification is insignificant and will add considerably to the hunter’s knowledge and performance in the field. 12: Deer Alliance is also aware of an online petition in circulation, which is regrettable, as division is always counter-productive. The petition in question appears to be based on a fear of regulation deterring newcomers to the sport, where sport is the objective. There is no evidence to support this proposition, as analysis of DHL numbers over the last number of years will demonstrate. Legitimate hunters will have no difficulty in meeting requirements, regulatory or otherwise. A licence fee is also mentioned. Certification has nothing to do with any licence fee which may or may not be contemplated, but it will serve to educate and support genuine hunters while deterring others less committed to deer hunting, either as a sport or as a necessary tool of management and control under safe, competent and knowledgeable conditions. 13: A need for legislation has also been mentioned. There is no need for legislation to support the introduction of mandatory certification. Section 9 of the Wildlife Act 1976 (as amended) provides that the Minister may attach conditions to any licence granted by him for any of the purposes of the Act or of regulations made under the Act, vary such conditions and revoke any such licence (other than a licence granted by the Minister under section 29 of the Act). Applications for HCAP are now invited from interested persons. This entry was posted in Uncategorized on November 3, 2017 by Liam Nolan.